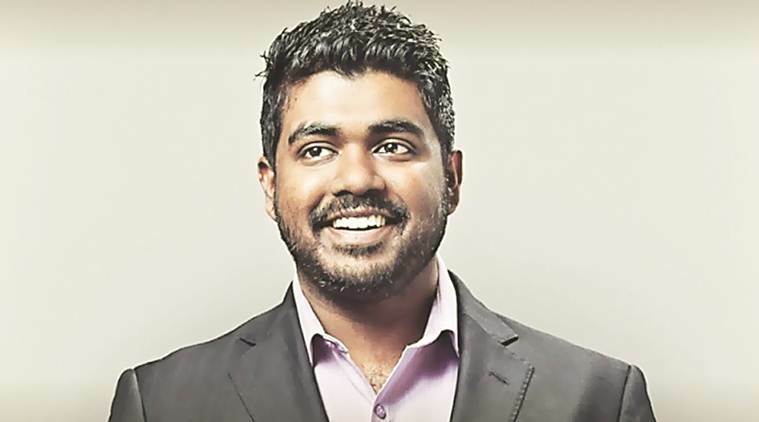 Yameen Rasheed, human rights activist and outspoken critic of the Maldives government was brutally murdered on 23 April. Mr. Rasheed was the third media figure to be targeted in recent years. Prior to his murder, Mr. Rasheed had been campaigning for investigation of the 2014 abduction and disappearance of journalists Ahmed Rilwan. Authorities did not investigate past death threats against Mr. Rasheed and no protective measures were in place. Lawyers Rights Watch Canada (LRWC) is a committee of lawyers and others who promote human rights and the rule of law internationally by protecting advocacy rights. LRWC campaigns for advocates in danger because of their human rights advocacy, engages in research and education and works in cooperation with other human rights organizations. LRWC has Special Consultative status with the Economic and Social Council of the United Nations. I am writing, as a member of LRWC, in reaction to the murder of human rights activist and blogger Mr. Yameen Rasheed on 23 April 2017. According to information received, on 23 April 2017 Mr. Rasheed, an outspoken critic of the Government, was found dead with 16 stab wounds on the staircase of his building in the capital city of Male. Mr Rasheed was a prolific social media activist in the Maldives, with a vocal presence on Twitter and on his blog, The Daily Panic, where he used to write satirical news on the country’s politics. In the anti-government protests held on 1st May 2015, Mr. Rasheed had been arrested and held in custody for 21 days. Mr. Rasheed had received several death threats throughout the years for his criticism of the Government and for his opposition to the radicalisation of the Maldives. He posted screen shots of the threats on his social media and reportedly registered a case with the police about the death threats last December. The police, however, failed to conduct investigations into these threats and to provide protection to Mr. Rasheed. Mr. Rasheed is the third media figure to be targeted in the Maldives in the past years. In 2012, blogger Ismail Rasheed was stabbed by an unidentified attacker and in 2014 Ahmed Rilwan, a journalist with the independent Minivan News, was abducted and has been missing since. Sources say Mr. Rasheed, who was Mr. Rilwan’s friend, had been publicly campaigning for an investigation into his disappearance, having filed a case against the Maldives police and a request under the country’s right to information act about the police’s investigation. In addition to these media figures, in 2012 a prominent reformist religious scholar and Member of Parliament, Mr. Afrasheem Ali, was also stabbed to death in his house in Male. Sources report that the Government of the Maldives has recently arrested the remaining opposition leaders who were not in exile, as exemplified by the arrest of Jumhoree party leader Qasim Ibrahim. Mr. Ibrahim was one of four signatories of a coalition of opposition parties aimed at toppling the current Government. Everyone has the right to freedom of thought and the freedom to communicate opinions and expression in a manner that is not contrary to any tenet of Islam. Freedom of the media (art. 27). Everyone has the right to freedom of the press, and other means of communication, including the right to espouse, disseminate and publish news, information, views and ideas. No person shall be compelled to disclose the source of any information that is espoused, disseminated or published by that person (art. 28). Everyone shall have the right to freedom of expression; this right shall include freedom to seek, receive and impart information and ideas of all kinds, regardless of frontiers, either orally, in writing or in print, in the form of art, or through any other media of his choice (art. 19.2). Everyone has the right to freedom of opinion and expression; this right includes freedom to hold opinions without interference and to seek, receive and impart information and ideas through any media and regardless of frontiers (art. 19). Moreover, the Declaration on Human Rights Defenders, adopted by the General Assembly of the United Nations in 1998, obliges the Government of the Maldives to conduct a prompt, impartial and effective investigation of the shocking murder against Mr. Rasheed (art. 9.5) and to protect other human rights defenders in the practice of their activities (art. 12.2). Given the seriousness of the facts described above, LRWC calls on the Government of the Maldives to ensure effective investigations on the murder of Mr. Yameen Rasheed. To be considered effective, an investigation must be directed at and capable of,: determining the details of the cause of death; identifying all those who planned and carried out the means of death; and, identifying factors that might have prevented the deaths. An effective investigation must enable and lead to the prosecution and trial of suspects and such other remedies for victims. LRWC further calls on the Government of the Maldives to take prompt action to implement protective measures to ensure the safety, and prevent any further attacks and loss of life of other human rights activists in the country. LRWC respectfully requests the results obtained through the investigation on the murder against Mr. Rasheed and the measures taken to ensure the safety of human rights defenders in the country to be made public.